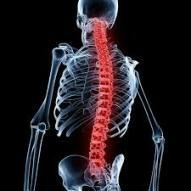 Why be concerned about spinal alignment? Acupuncture is a system that balances the movement of energy "QI". The results improve the nervous system, balances muscle groups, re-connects and regulates brain activity to the body. Better function, improved posture, less pain allows the body to rest and heal. Good spinal alignment is the result of these balanced systems. The very things that cause spinal mis-alignment are corrected by acupuncture. During 40 years of clinical practice and as an acupuncturist orthopedic specialist, I've developed a new system of acupuncture. This new system combines traditional acupuncture points with cranial-sacral motion. By monitoring the effects of both systems, I've been able to developed a system that combines the benefits of both therapies. There are no hard adjustments. Spinal correction is achieved through acupuncture.The new system is gentle and balances other systems in the body resulting in spinal correction. The overall balancing effect creates treatments that "hold" longer with fewer treatments. We effectively use multiple treatment modalities to achieve results. The new system itself can be applied with acupuncture needles, a needle-less cream that acts just like an acupuncture needle in it's effect and K-Laser. After a complete exam, we can tell you why your spine is mis-aligned. Anything throwing your body out of balance will show up in your spine, posture and distortions in the cranial-sacral motion. The list is varied: infections, allergies, excessive stress, sleep deprivation, trauma, emotional distress, immune stress, lack of movement (exercise). Any and all stresses that your body can't adapt to easily. Lack of adequate rest and rejuvenation. The list goes on... Correcting and educating you on all these systems of stress is what We do at Mosher Health.